What feelings are conjured up with this image? Perhaps it is about discovery, or innocence - either way the image can help us connect to the personality of the organisation it represents. Today's brands are increasingly defined by their interactions and relationships. People are demanding greater accountability and integrity from businesses. Workers crave a deeper sense of meaning from their careers. And companies continually seek ways to achieve more powerful and meaningful engagements. Aamplify.partners harnesses the phenomena of archetypal wisdom to meet these new realities. Archetypes help uncover and bring your story to life in a way that creates magnetic attraction — the illusive piece that builds lasting value. An organization, while not actually a person, has a distinct character that is embodied in your brand and culture. Sometimes this character can be hard to recognise and bring to life. This is where archetypes can be used, with powerful effect. Applying an archetypal approach helps to set the stage for the kinds of experiences and relationships you have with your customers. The moment you think of a brand like Harley Davidson and the word Rebel is used - most people make an intuitive, and instant, connection to the archetypal story that underpins that brand. Rooted in our collective unconscious, the concept of an archetype shaping a personality was advanced by C.G. Jung - one of the most influential psychiatrists of the 20th Century. Archetypes represent a pattern of ideas and way of thinking that is consistent across time, generations and cultures. Their use in a brand context typically categorises them into 12 primary archetypes, symbolizing basic human motivations, meanings, values and traits. Archetypes help us understand what motivates an individual, and they work in a similar way for a brand. When revealed, and made intentional, these universal patterns of behavior can help individuals and companies stay true to their mission and brand promise. Functioning as a sort of compass, this creates loyalty with all stakeholders, including buyers, suppliers, shareholders, and employees. If a brand is about what you stand for, then embodying your organisation's archetype can guide brand development and connect people to your organisation, in subtle yet powerful ways. Very simply, archetypes can facilitate the experiencing of a brand and why it attracts certain customers. Archetypes are powerful attractors of consciousness. Using archetypes can shift your brand from push to pull, from messaging to values, from control to expansion and move your engagements from transactions toward relationships. The authentic application of archetypes also helps your align brand and culture — your behaviors and being. The use of archetypes is a proven method for revealing truly unique brand characters. An archetypal approach is a key source of differentiation in a competitive landscape. They provide a springboard for brand development, instill humanity, and form a basis for creating a common language. And a 2000 study by Y&R and Stern Stewart showed that the strength of a brand identity's archetypal association positively influenced the company's real asset valuation by 66%. Archetypes “work” because they create instant emotional impact which triggers instant affinity. They increase trust because they are grounded in a consistent and enduring expression of meaning. They activate a powerful experience of resonance and attraction. Working with archetypes to guide the strategy, relationships, products, services and artifacts for your business helps to resolve brand and culture inconsistencies, enhance trust and relatedness with all stakeholders, and increases your impact and bottom-line. Using an archetypal approach, Aamplify facilitates brand and business strategy, brand culture integration and brand activation. 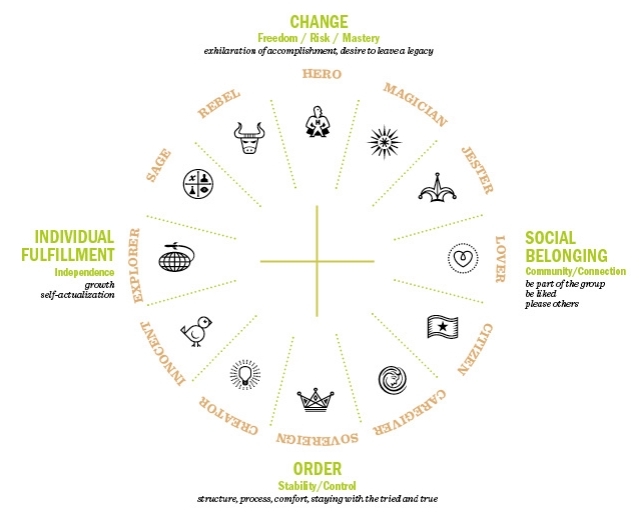 The graphic below places 12 fundamental archetypes, typically used in branding, into a model representing the four basic human drives. It comes from The Humanistic Theory of Motivation and is largely built upon Abraham Maslow's hierarchy of needs. As successful branding is largely built upon bridging between the product/service offer and how/why people make decisions, understanding and negotiating the dynamic tension of these four basic drives is hugely important. As Mark and Pearson elegantly state, "Archetypes mediate between products and customer motivation by providing an intangible experience of meaning." Click on any of the segments to find out more about an archetype - there are descriptions, examples, and additional family members. For a very brief primer on other theories of motivation, here's an article by Kendra Cherry. And of course giving credit where credit is due, this diagram is adapted from Mark & Pearson’s, The Hero & The Outlaw, page 15. 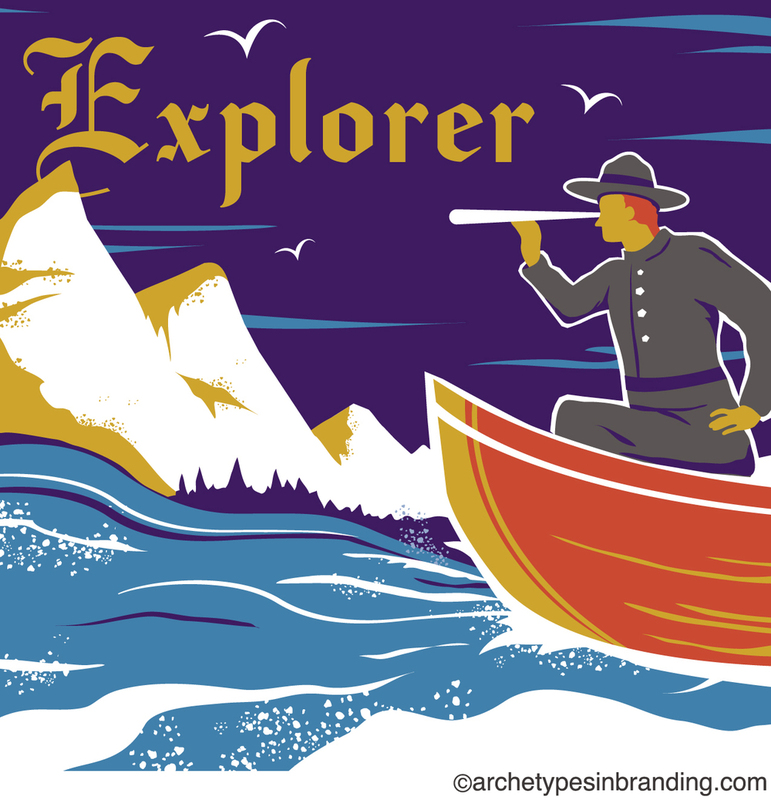 READY TO REVEAL YOUR BRAND ARCHETYPE? Whether you're new to archetypes or a seasoned practitioner, this assessment is designed to reveal existing archetypal patterns. While the ArchetypeIQ Brand Assessment is still beta phase we hope that it will provide value and would appreciate your candid feedback. Based on the work of the author of Archetypes in Branding: A Toolkit for Creatives and Strategists, the assessment consists of 24 questions and will only take about ten minutes of your time. Can Archetypes help your brand reach more customers? If you are interested in finding out how archetypes could help you, get in touch on +64 9 889 0069. 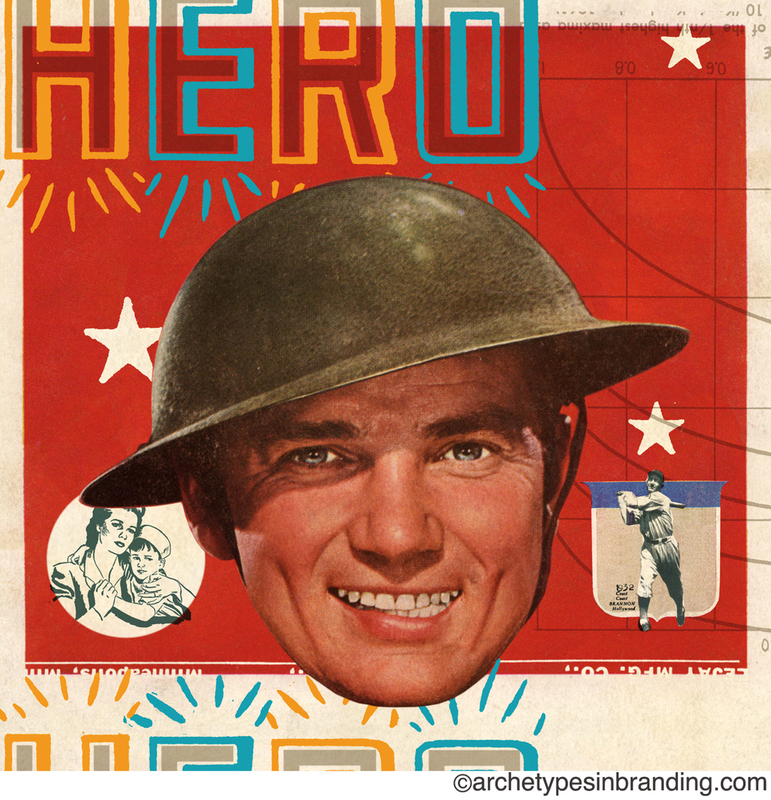 Images from Archetypes in Branding: A Toolkit for Creatives and Strategists used with permission. The one-word description for the Caregiver is “altruism”: the unselfish concern and/or devotion to nurture and care for others. This archetype is motivated to provide reassurance, service, advice, listening and an open heart to support the welfare of others. The Caregiver is compassionate, generous, efficient, self-sacrificing, patient, highly competent and an excellent multi-tasker. Able to find the silver lining in any cloud, the Caregiver is able to remain calm in a crisis, make friends with everyone, and radiate the lightness of optimism. Brand Highlight: Panadol - was made to help relieve peoples aches and pains, therefore it can be classified as a caregiver. It is brand that sympathises with people's sicknesses and aims to make them feel better. It is a brand based around compassion and a product that is designed to help. Examples: Mother Nature. George Bailey (It’s a Wonderful Life). Robin Williams in Mrs. Doubtfire. Mary Poppins. Dove. Amnesty International. Allstate Insurance. The Citizen is driven by a deeply instilled sense of personal integrity, fairness, equity and responsibility to the community. This archetype’s identity is shaped by the experience of being a peer rather than being subjected or ruled. The qualities of a citizen are fairness, respect, equity, accountability and personal integrity. The Citizen has a great belief in a unified society wherein humans positively contribute and that hold values higher than profit or individual gain. Meaning is found in the personal sense of alignment between beliefs and action. Brand Highlight: Trademe is a hugely popular auction platform where users can buy and sell goods based on their perception of the products worth. The brand works because everyone who uses it upholds the values of a citizen - fairness, respect, accountability and personal integrity. Examples: John F. Kennedy. Rosa Parks. Willem Dafoe in Mississippi Burning. TimeBanks USA. Habitat for Humanity. Panera Cares. Chipotle. TOMS Shoes. Team in Training. The Creator has a passionate need for self-expression, to be a cultural pioneer. Creating offers a means of dealing with how out of control the world seems. The Creator is highly imaginative, with a developed sense of the aesthetic. This archetype often appears in environments that are reflective of good taste and a unique point of view. The Creator notices and acts upon the need for innovation, invention and re-interpretation. Believing in the value of inner expression, the Creator is dedicated, hard working and achievement oriented. Brand Highlight: Dyson has always been a forward thinking, imaginative company as was the vision by its founder James Dyson. It is a company that prides itself on creating new and imaginative products that can revolutionise the vacuum cleaner world. Examples: Walt Disney. Adobe. LEGO. Pinterest. Etsy. Wolfgang Amadeus Mozart. I.M. Pei. Charles and Ray Eames. Martha Graham. Dame Judi Dench. Edward de Bono (lateral thinking). Family Members: Artist. Entrepreneur. Storyteller. Visionary. Brand Highlight: Katmandu sells outdoor clothing and equipment. Not only do their products promote exploration but the brand embodies and activates the inner motivations of The Explorer. Examples: PBS. Patagonia. Global Exchange. John Muir. Huckleberry Finn. Star Trek. Family Members: Adventurer. Renaissance Wo/Man (Generalist). Pioneer. Seeker. The Hero acts to redeem society by overcoming great odds in service to successfully completing extraordinary acts of strength, courage and goodness. The Hero is admired by those who appreciate the self-sacrifice, stamina and courage required to triumph over adversity and evil. As a continuous learner, the Hero seeks to understand the inner life force and fullest expression of self, while coping with difficulty, meeting strange fates and facing shifting challenges. The essence of the Hero lies in the sacrifice required to achieve the goal of transformation. Brand Highlight: Nike embraces the concept of a hero by sponsoring some of the worlds greatest athletes who are heroes in their field. Michael Jordan is an example, Nike built a whole other brand 'Air Jordan' around him because of his hero status in basketball. Examples: Odysseus. Hercules. Luke Skywalker (Star Wars). Bilbo Baggins (The Hobbit). Simba (The Lion King). Harry Potter. Family Members: Athlete. Liberator. Rescuer. Warrior. The Innocent is pure, virtuous and faultless, free from the responsibility of having done anything hurtful or wrong. The eternal optimist, this archetype’s glass is always half full. 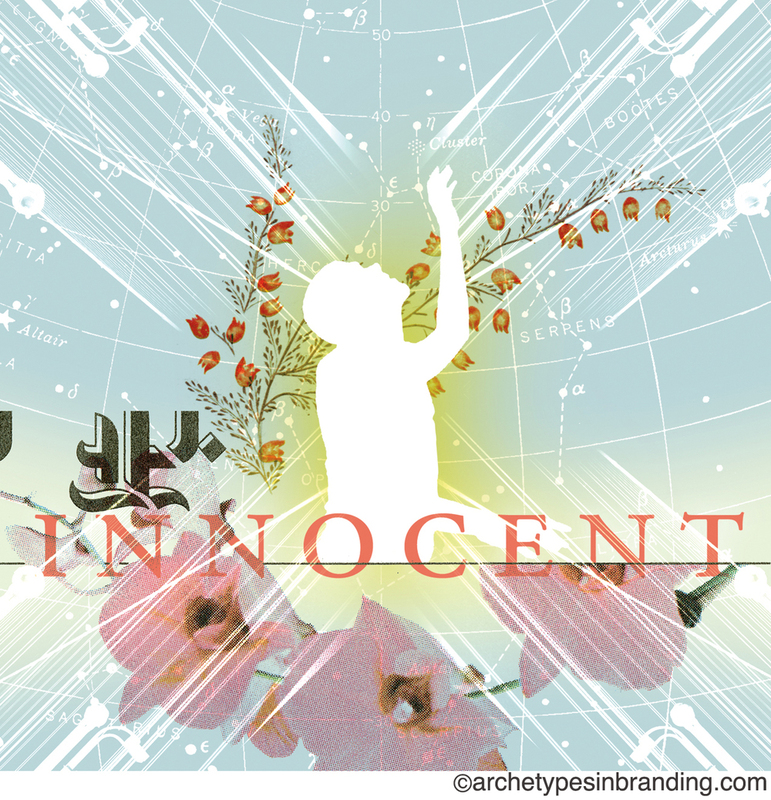 The Innocent lacks guile and corruption, and seeks the promise of paradise. In its most powerful expression, the Innocent embodies a sense of oneness and renewal, representing inner peace and acceptance. This archetype can trigger nostalgia for simpler times. Examples: Xero. Annie’s Homegrown Inc. Method (home and personal care products). Forrest Gump. Dorothy (The Wizard of Oz). Scout (To Kill a Mockingbird)., Littlefoot (The Land Before Time). Peter Sellers in Being There. Brand Highlight: Xero is a software company that provides online cloud based accounting software. They are a highly trusted brand and extremely pure in their work, the name itself is 'xero' because their software should balances its customers accounts to zero. Family Members: Child. Dreamer. Idealist. Muse. Joyfully living in the moment, the Jester seeks to lighten up the world. Able to bend perspective, twist meanings and interpret events and people in surprising ways, the Jester can speak truth to those in power. The Jester appreciates beauty, change, surprise and wicked intellect. Known for exuberant antics, the Jester transcends tradition, convention and societal norms. Boldly original, irreverent and mischievous, this archetype sees life as a wild and crazy playground of opportunity. Brand Highlight: Tui is very much the jester brand, its advertising campaigns are design in humour. They shamelessly show beautiful woman working in the Tui brewery in their ads and sponsor pranks like replacing the water plumbing with beer. They play to the joker persona and it is how they have become so popular. Examples: GEICO. IKEA. Tina Fey. Dave Chappelle. Jeff Dunham. Falstaff (Henry V). Jon Stewart. Whoopi Goldberg in Ghost. The Cat in the Hat. Family Members: Clown. Entertainer. Provocateur. Shapeshifter. The Lover possesses an unbridled appreciation and affection for beauty, closeness, and collaboration. Motivated to attract, give, receive and nurture life-affirming, intimate love and strengthened by great passion and devotion, the Lover fosters bliss and unity. This results in an experience of love that goes beyond an emotion or mindset to become a way of life. Brand Highlight: Victoria"s Secret designs lingerie that embodies sexuality and beauty and is aimed at encouraging romance between partners.This Lover brand stimulates the desire for intimate relationship. Examples: Chanel. Häagen-Dazs. Victoria’s Secret. Eros. Simone de Beauvoir and Jean-Paul Sartre. Beauty and the Beast. Griffin and Sabine. Romeo and Juliet. Ingrid Bergman and Humphrey Bogart in Casablanca. Dead Poets Society. Guinevere and Lancelot (Camelot). The Phantom of the Opera. Family Members: Companion. Matchmaker. Hedonist. Romantic. Known to be dynamic, influential, charismatic and clever, this archetype is able to view the world through many different lenses. Driven to understand the fundamental laws of the universe in order to make dreams into reality, the Magician connects to experiences of synchronicity, flow, and oneness, with a curiosity about the hidden workings of the universe. 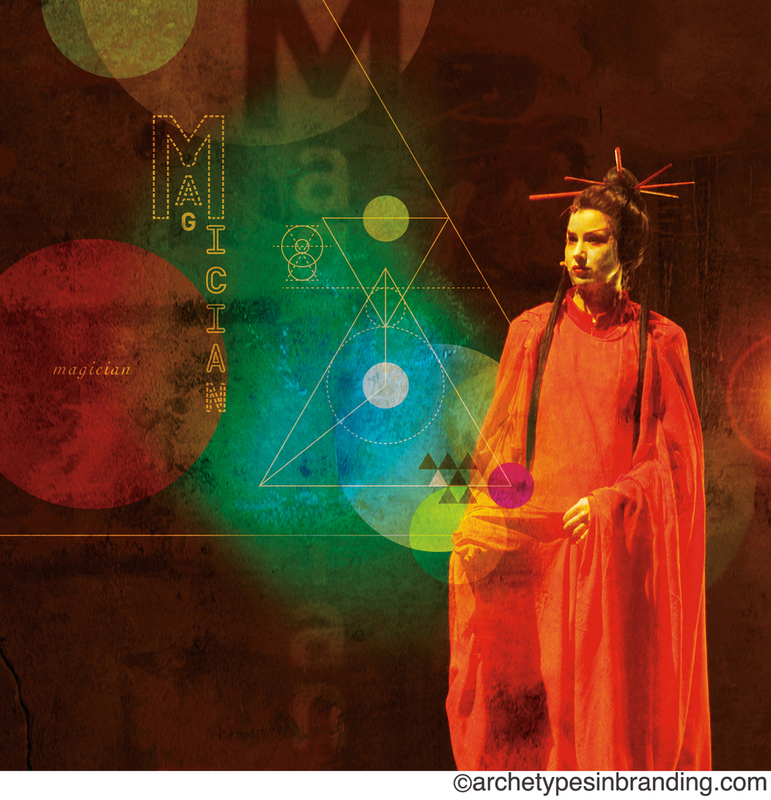 Using ritual and forces from above and beyond, the Magician manifests ideas into reality. Able to accomplish magic from the inside out, the Magician gets results outside of the ordinary rules of life. Brand Highlight: IBM is a massive global company that makes and sells computer hardware. They are an extremely clever and innovative company that are constantly aiming to dream bigger. They encourage intellect, embodying The Innovator. Examples: Polaroid. Xbox. Benjamin Franklin. Merlin. Charmed. Practical Magic. Willy Wonka and the Chocolate Factory. Family Members: Alchemist. Innovator. Mentor. Shaman. The Rebel is a force to be reckoned with, representing the voice that’s had enough. The Rebel is a key to social change and acceptance as a harbinger of fresh perspectives, new outlooks, aspirational change, and awakening. A rule breaker, the Rebel challenges convention by questioning the status quo and pushing the envelope. With bold leadership, courage and power, the Rebel helps to dispel others’ fear of victimization. Brand Highlight: Hells Pizza has specifically design their brand to be rebellious. Taking the Rebel to the extreme, the brand doesn't conform to accepted advertising methods, using gruesome images and controversial campaigns to sell their product. Examples: Hells Pizza. MTV. Apple’s 1984 Macintosh Ad. Vladimir Lenin. Che Guevara. Malcolm X. Madonna. Muhammad Ali. James Dean in Rebel Without a Cause. One Flew Over the Cuckoo’s Nest. Norma Rae. Family Members: Activist. Gambler. Maverick. Reformer. The Sage is motivated by independence, cognitive fulfillment, and truth. This archetype has a foundational identity attachment to the belief that thinking is what defines the human experience. The Sage responds well to expert opinion but is inherently a pragmatic skeptic. Possessing a high need for autonomy, learning for its own sake is valued because it allows for detachment from the masses and the capacity to remain objective. Brand Highlight: The BBC has been a reliable source of intelligent investigative reporting for decades. They are a trusted news network that prides itself on reporting the truth, a great representation of a sage brand. Examples: Harvard. The Smithsonian. RAND Corporation. Mayo Clinic. Institute for the Future. Confucius. Homer. Jane Goodall. Deepak Chopra. Marie Curie. Yoda (Star Wars). Morpheus (The Matrix). Family Members: Detective. Translator. Engineer. Scientist. Possessing an aura of organization and order, the Sovereign is a model of proper behavior while exuding an untouchable quality of privilege and royalty. Under constant public scrutiny, the Sovereign is controlled, watchful, measured and cautious with words and deeds. Connected with tradition and status, the Sovereign is an archetype of dignity, benevolence, and serenity. This archetype is often combined with others, such as the Sage, Seeker, Warrior or Lover, to increase the specificity of the Sovereign’s style and perspectives. Brand Highlight: Qantas - is the dominant airline in Australia. Examples: The Vatican. Mercedes-Benz. Lloyds TSB. Cleopatra. Queen Elizabeth II. Prince Albert (husband of Queen Victoria). King Arthur. Mufasa(The Lion King). Family Members: Guardian. Patriarch. Ruler. Judge.